I was whipping white frosting for my mom’s birthday cake when I heard my 27-year old hand mixer grumble, whine, and gasp before succumbing to a permanent state of disutility. I mourned its passing. 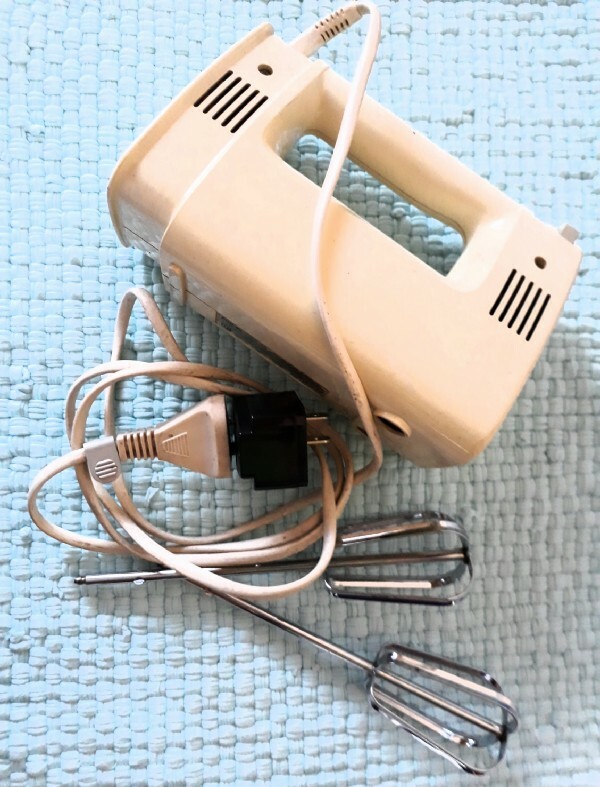 It was the very first appliance that I bought as a young bride who saved cents from the hubby’s stipend. I haven’t gotten around to bringing it to the service center, though. My unspoken fear is that my trusty hand mixer could not be serviced anymore. “Bumili na lang po kayo ng bago,” I can almost hear the technician quip. Then it was the 22-year old water purifier’s turn. It was older than three of my four children. Panic filled my guts when I was told that they have stopped manufacturing replacement filters for our model. The hubby called the water purifier company, demanding to know why they sell products with replaceable parts and then stop manufacturing those parts. The manager politely reminded the hubby that over 22 years, our water purifier had fully depreciated, anyway. He also appeased us with a rather generous discount on our brand new, shiny, and high-tech water purifier that now proudly adorns my 19-year old kitchen. It didn’t stop there. Our 15-year old floor polisher model had been phased out, too, and yes, “wala na pong spare parts”. A kind lady attended to my call and advised me to bring the appliance to the service center, anyway. “Baka po ma-remedyuhan pa.” That didn’t raise my hopes. I will skip those episodes with our 10-year old printer and the hubby’s seven-year old cellphone. This ranting is just too much for my 54-year old heart. While I knew that my beloved inanimate objects would one day, well, conk out, I still grieved when that day came. Inanimate as they were, they were long-time companions, and by their very nature, they were constant companions. Homemaking can be a lonely and thankless job. While no stay-at-home mom is in it for the applause, definitely, she can use some help. Having my mixer beat the batter blesses my limbs all the way from my fingers to my armpits. A water purifier saves me hours and sweat from having to sterilize water by boiling, especially when I had infants. (Did you ever wonder how they clean those containers at the water refilling stations?) After a floor polishing chore, I would sit on the sofa by my lonesome, admire my shiny, however mere laminate floors, and feel no less regal than a queen. I have but a capsule wardrobe, I wear no makeup, but who can fault me for being attached to those household objects? They’re not just “stuff”. They kept me sane. In an odd way, it is that way with people, too, is it not? We live, we work, we rest, sometimes we fall apart, we regroup, we live on, and then it’s time to go. We face death, ours or that of a loved one. Wala na pong spare parts. Sounds like multiple organ failure in human terms. If we are among those left behind, we grieve. Oh, how we can grieve! The human predisposition for grief is tragically boundless that it can be sometimes borderline funny. After all, a loved one is not just “stuff”. Unlike appliances, though, loved ones cannot be replaced. Still, they can be remembered. The human capacity to remember is poignantly strong. So we remember our loved ones with fondness and with gratitude. And more. Much more. For a longer time, too. Longer than the memory of a trusty hand mixer. Loved ones do not just keep us sane. They also keep us loved because unlike inanimate objects, they can love and love back. And because they gifted us with bliss on earth, we dare to remember them also with hope. Hope that hereafter, they will reach that Place of true bliss, where spare parts and organs function nonstop and where depreciation and atrophy are unheard of. Hope that they will reach that Place where the Technician of technicians, the Physician of physicians, will make everything all right, for always. Hope that one day, we, too, might land in that Place. After the technician installed our new water purifier, he beamed and proudly told me that it will serve me well and serve me long. I told him that I expect no less and that indeed, I expect the new water purifier to outlive me. He turned serious and said, “Ma’am, huwag naman po kayong magbiro nang ganyan.” He is young, sprightly, and eager to please. For now, he would not understand.